There is only one winner in a contest like this – and that winner is me. Having a house full of friends eating and drinking unpretentious wine is the best of all worlds. 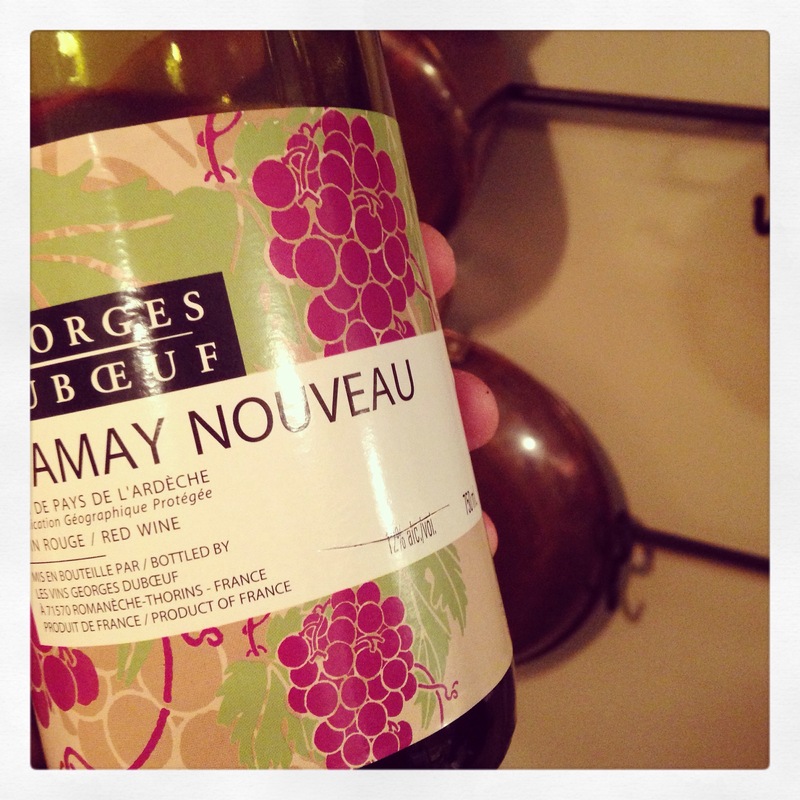 But in a very real way 3 wines won this year’s Nouveau competition. Here’s how I saw it anyhoo. #1. 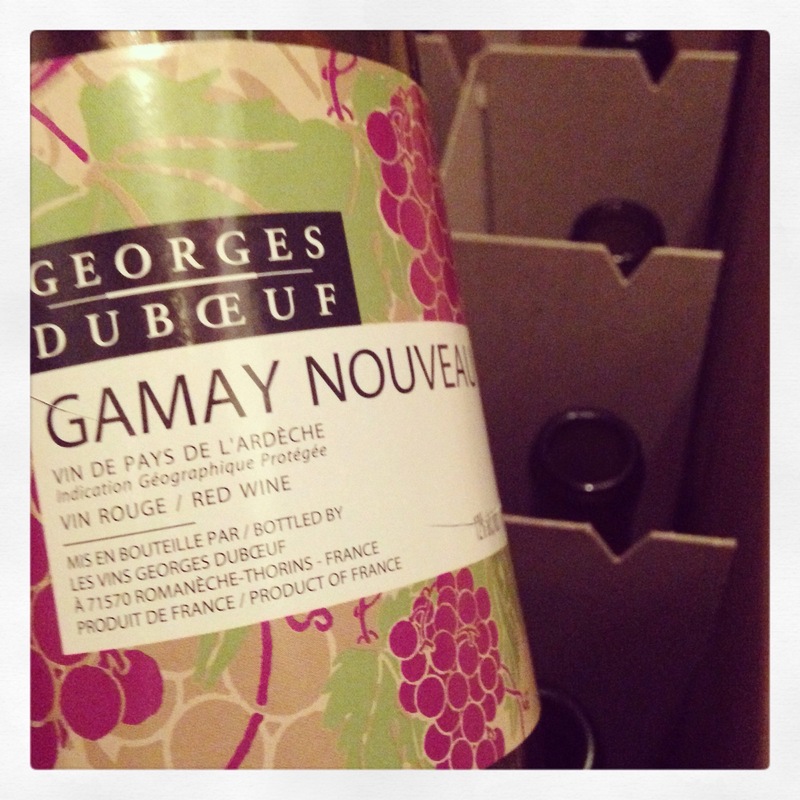 Georges DuBoeuf Gamay Nouveau – at $10 it is a great price point. Tart, juicy, and a bit of effervescence. This, in my humble opinion [which is the only one that counts in my wine blog] is the perfect Nouveau. So good that I only have empties left. #2. Mommessin – at $14 it’s not a crazy “fou” price and it inspirted the art that my girls draw every year on our chalkboard. The smoothest, most well balanced of them all. I have a couple left to serve with American Thanksgiving turkey this week. #3. 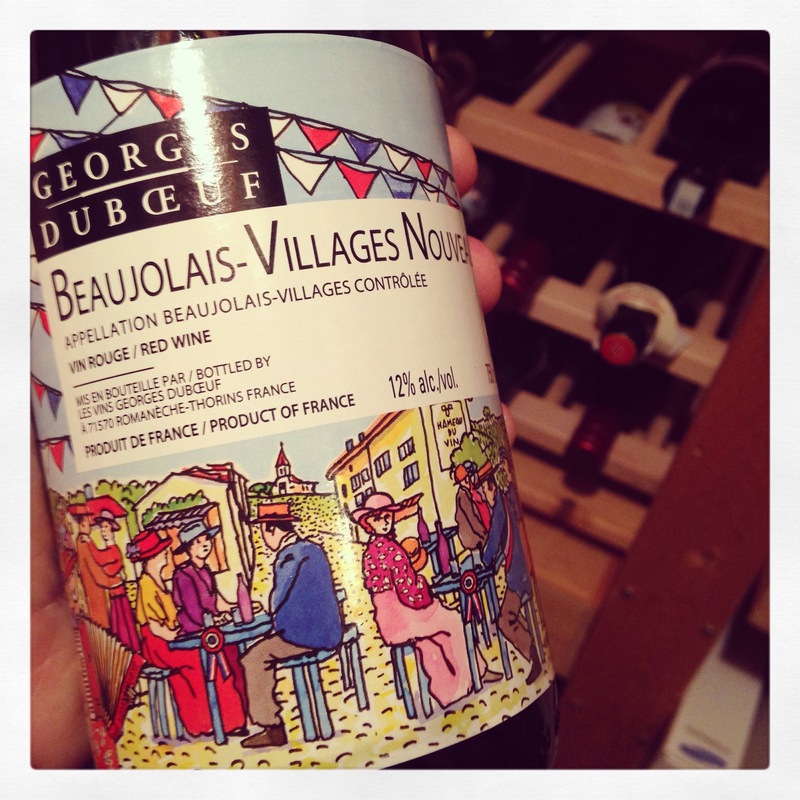 Georges again – this time with this fancy label Beaujolais Villages Nouveau, that is a little pricey at $15 but what cha gonna do? Georges knows Nouveau. Good enough to tuck away in my cellar until Christmas and even as long as Easter. Heavy Criticism Alert. Hey Joseph Drouhin. Stop trying to charge me $16 for Nouveau. You were very tasty but I could save my money and buy more of those expensive French copper pots I love if you would charge me $10 like you should. Thanks to all the other wines that participated. Here are my thoughts on you. Italian wine … you tasted too much like Uncle Tony’s garage wine at the end. I liked your effort at rustic but it turned out a little too rustic if you know what I mean. And Ontario wine … I like Jolly Ranchers as much as the next guy but sweet jolly rancher wine is not my idea of a Nouveau. Art … I just didn’t like you. Nothing personal. I know that sounded personal but it’s not. I will buy you again next year. 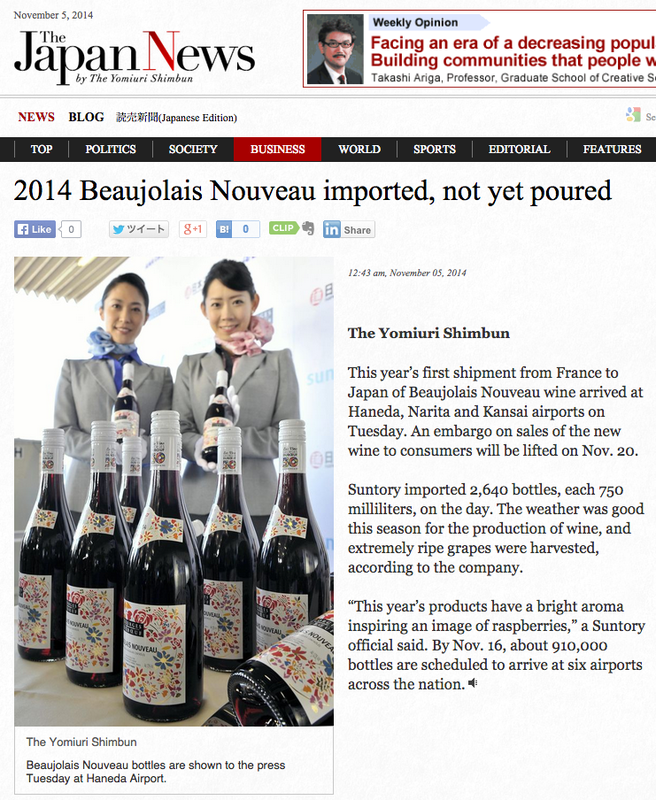 This is an open letter to all wine snobs on the release of le Beaujolais Nouveau this week. I know why most “wine people” don’t really get into the Nouveau spirit of things. • In fact not much has been done to it at all except that the French have marketed the heck out of it – and they have done so brilliantly. • Most of you refer to it as “wine Cool-Aid”. Yes, I know it’s not a serious wine but I don’t care. I like it. It inspired me to start this wine blog in 2009. In fact I would go so far as to declare myself a Nouveau snob. I’m unreasonably hesitant to try a Novello from Italy (although they are always delicious) and I don’t get as giddy about a syrah Primeur as I do with a true Nouveau made with gamay grapes. Fresh, juicy, “new” French wine is just the thing to start the holidays for me. I like my carbonic maceration. I like my red wine chilled. I like the hype – bring it on Georges Dubœuf with your clever little œ in the middle of your name. I like drinking wine that you don’t swirl and sniff. I like Chateau des Charmes in Niagara producing Seven Generation Gamay Nouveau, because Canadians demand a little locavore in our drinking. 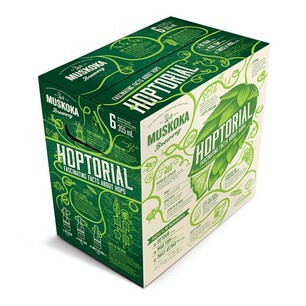 So while you wine snobs will be “pooh-poohing” me on November 15th, I will be proudly buying a 6-pack of Nouveau and loving it. 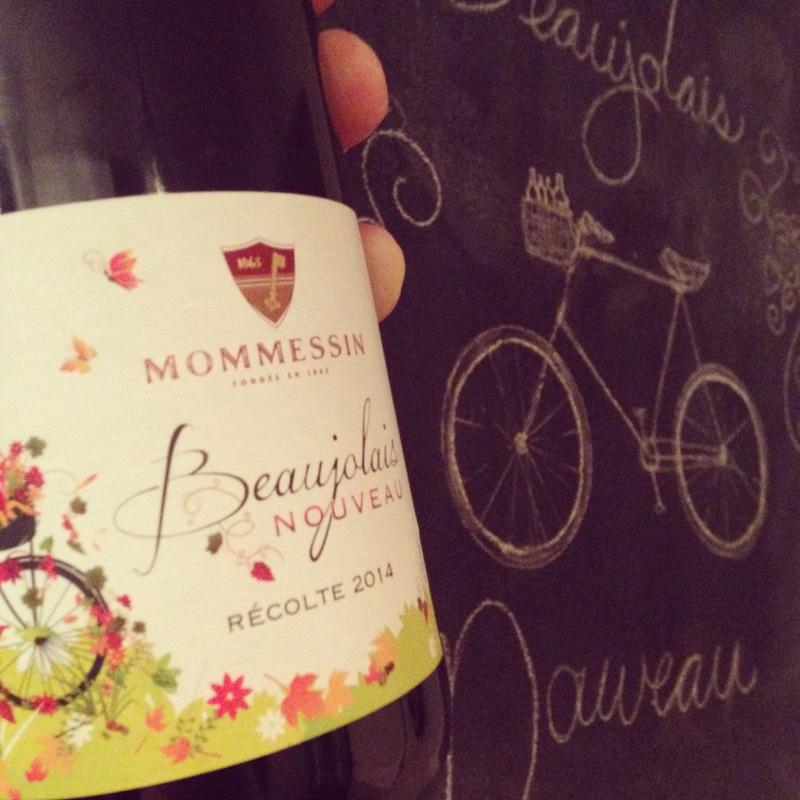 Self proclaimed Beaujolais Nouveau snob. 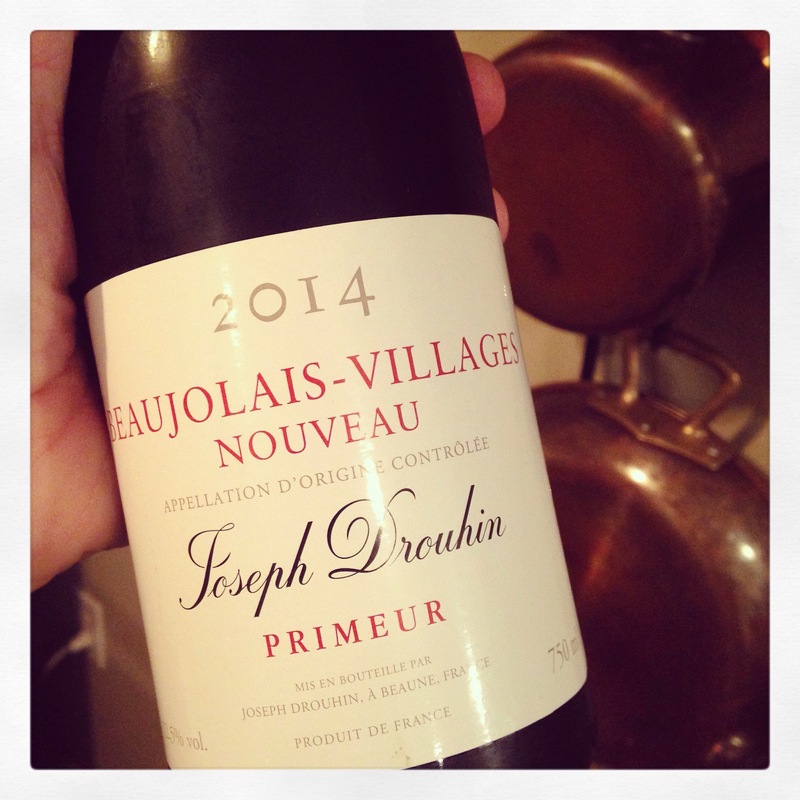 As the anticipation of the release of the 2014 Beaujolais Nouveau whips itself up into a frenzy at La Maison Oke [“my house” for those of who who prefer not to parlez] it’s nice to know that I’m not alone. Anyone who has followed my blog [my brother and John from BC] knows that 5 years ago I built PulltheCork on the foundation of my enthusiasm for Nouveau and my best idea ever – my annual Nouveau party. Again, it’s not just me who gets excited. Read the following article from the Japan News. Anything the Japanese get excited about has to be good clean fun!